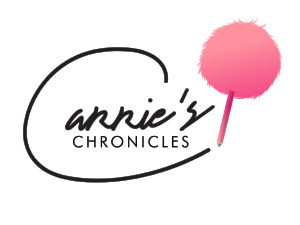 In honor of National Candy for Breakfast Day on July 28th, candy emporium Sugarfina launched their Candy for Breakfast Collection that is guaranteed to bring out your youngest, sweetest self. The collection takes staple breakfast foods and spins them into innovative, sugary concoctions for dessert lovers to enjoy. 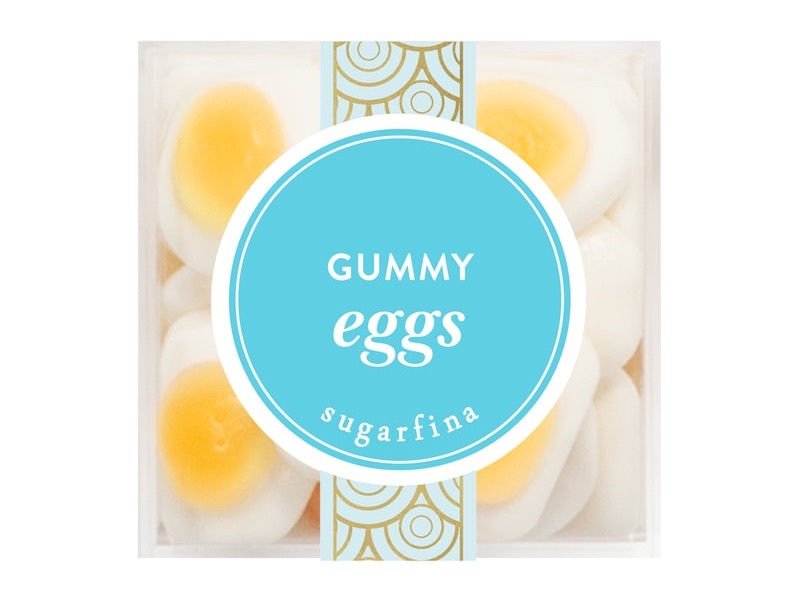 Sugarfina’s Gummy Eggs are orange juice-flavored, justifying that the two make an eggcellent pairing for both breakfast and dessert. The Cinnamon Crunchies--made out of Cinnamon Toast Crunch Cereal--are coated in creamy milk chocolate and covered in a crisp candy shell...no spoon needed! 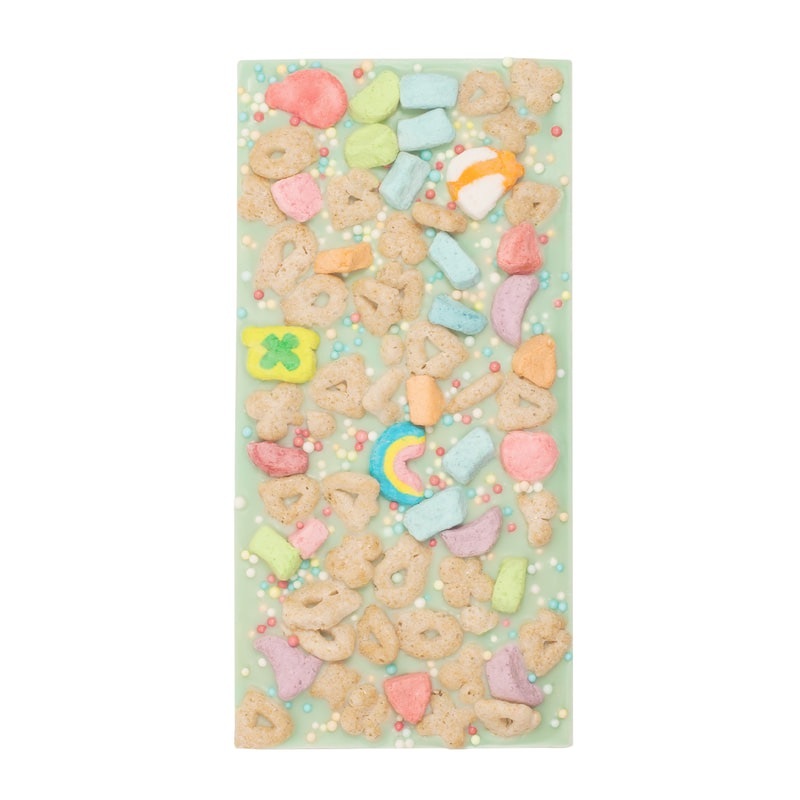 The collection also features Fruit Loops, another one of America’s favorite cereals, with its Fruity Loops candies. These ‘nutritious’ treats have a crispy cereal center covered in milk chocolate and are dipped in a fruity candy shell. 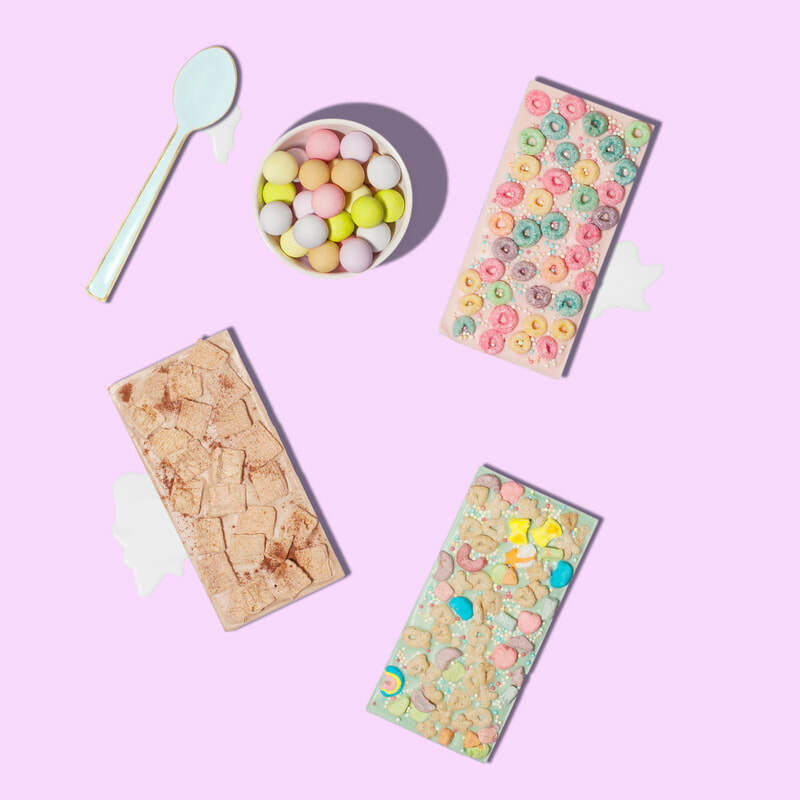 The Marshmallow Cereal Chocolate Bar derives its pastel chocolate from Paris and is topped with Lucky Charms Cereal & rainbow sprinkles. C'est Magnifique! 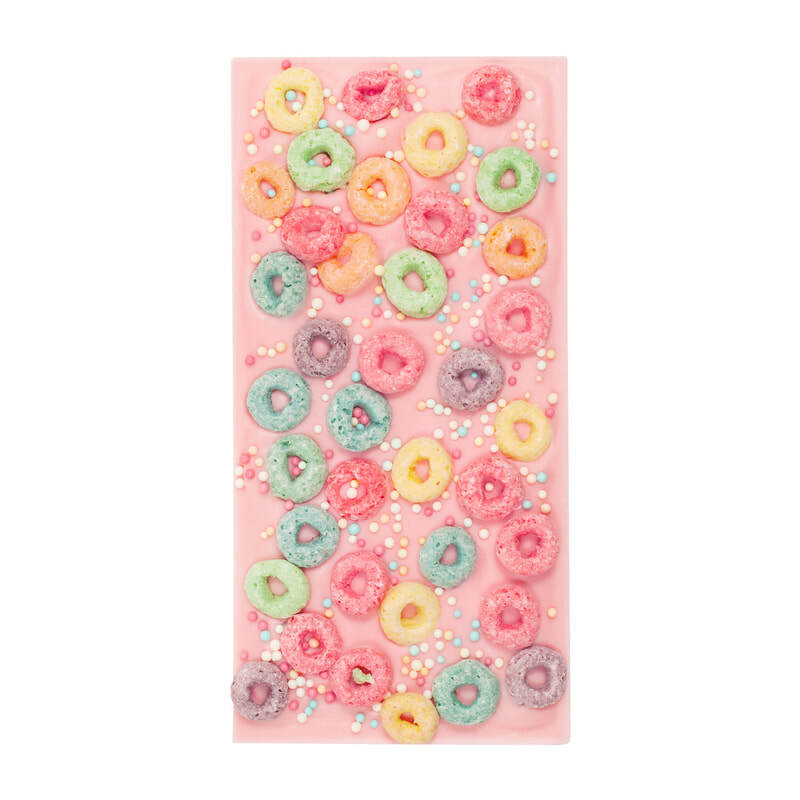 Sugarfina’s new Fruity Cereal Chocolate Bar’s pale pink chocolate also comes from Paris and is topped with Fruit Loops Cereal & rainbow sprinkles. 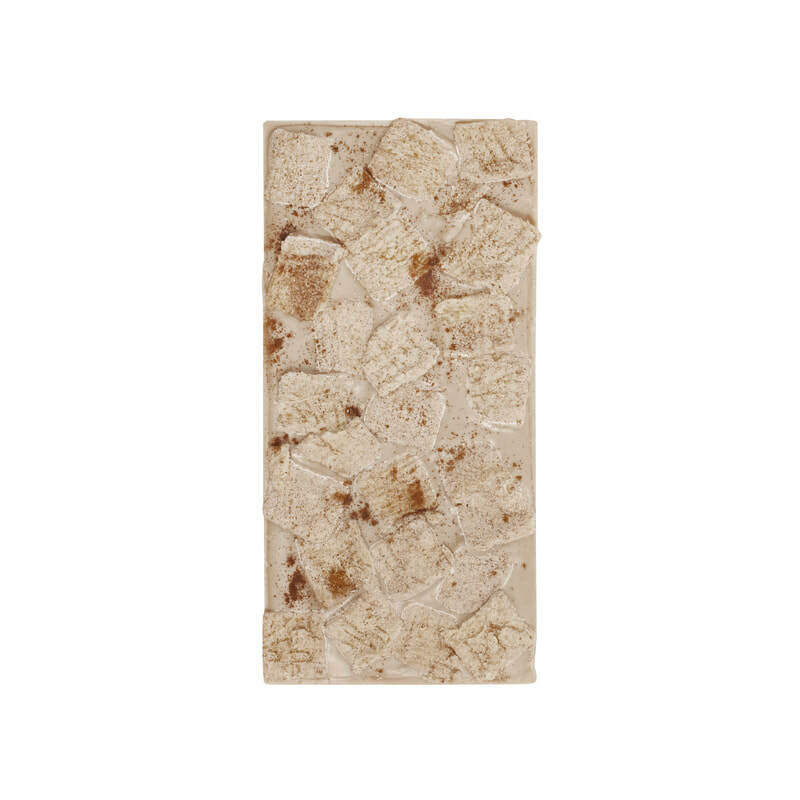 The Cinnamon Cereal Chocolate Bar is made with white chocolate and topped with Cinnamon Toast Crunch Cereal. Trust me, you’ll want to eat (cere)all of it. Packs of candies in the collection are priced at $7.50 while the chocolate bars are each $9.95. But trust me, you’re going to need to stock up your whole fridge if you’re going to sub these for your morning meal from now on. I won't tell! 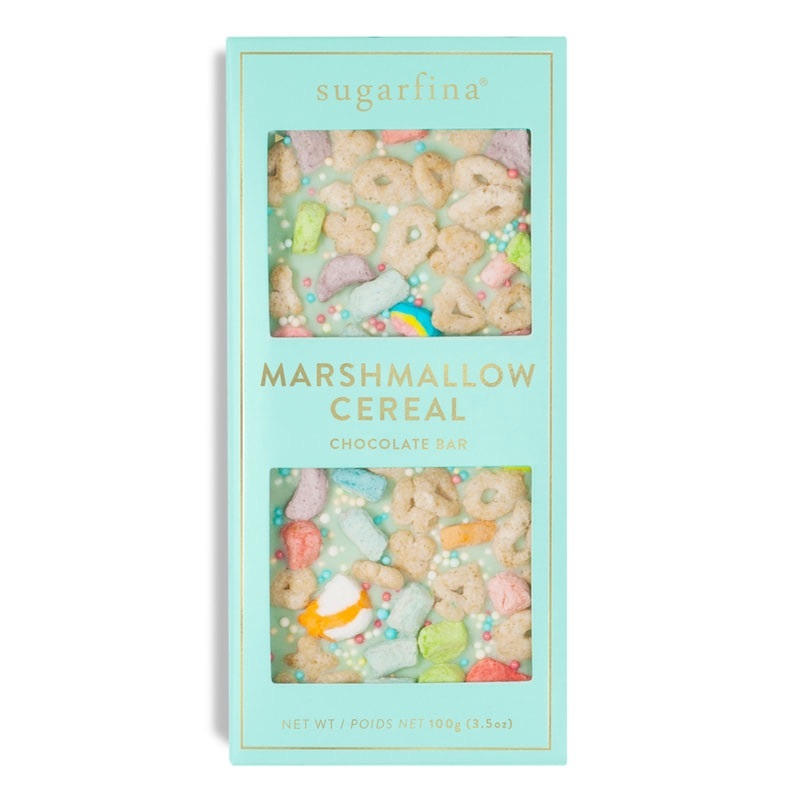 You can shop the Candy for Breakfast Collection at https://www.sugarfina.com/candy/collection/candy-for-breakfast.